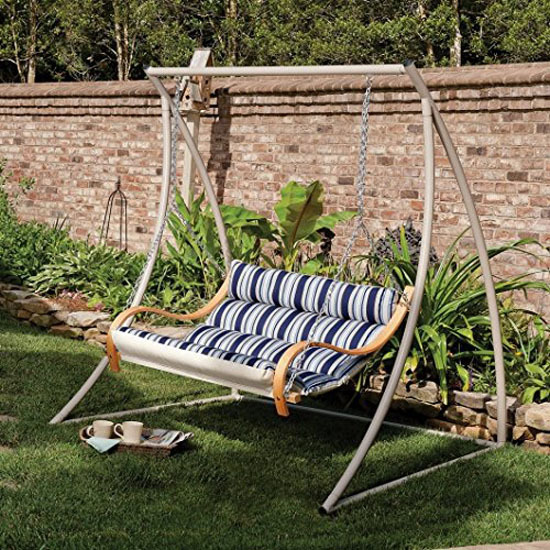 When you live in a house where the surrounding has awesome view, you might want to install Hatteras Hammocks Deluxe Cushioned Double Swing. 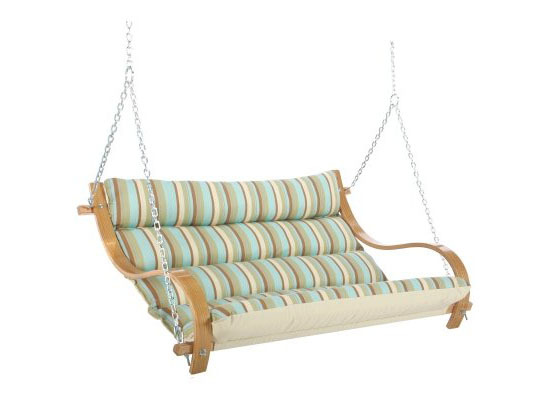 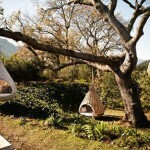 It’s a great swing for your front porch or backyard, a nice place to enjoy beautiful day. 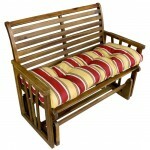 Made in USA, this unit is constructed from oak frame with zinc-plated hardware while the deluxe cushions are covered with weather resistant DuraCord fabric. 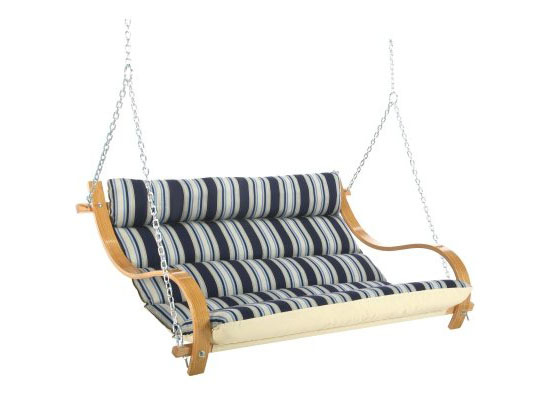 Featuring dimensions of 60”x42”, this swing would look good once installed, it helps you to relax, enjoying peaceful day while swinging. 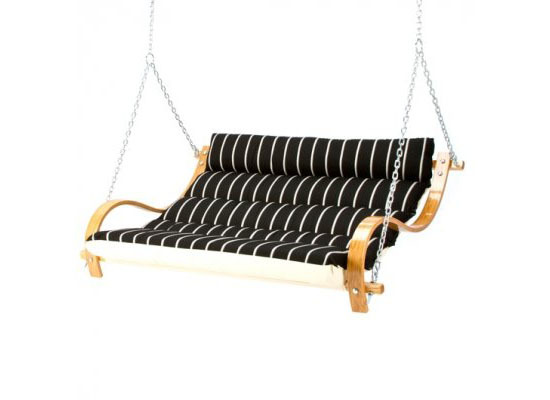 Since it’s going to be used outdoor, it’s good to know that the company use DuraCord material, it is resistant to rot, mold, stain, and mildew. 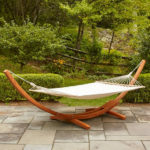 The Southern white oak that is used as the frame is repeatedly hand dipped in marine-grade varnish, resulting in hardwood’s natural hue of honey gold, gorgeous.